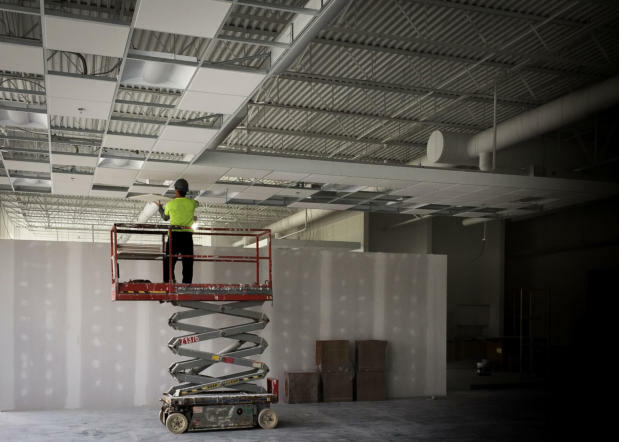 Expert Construction is an acoustical ceilings subcontractor. 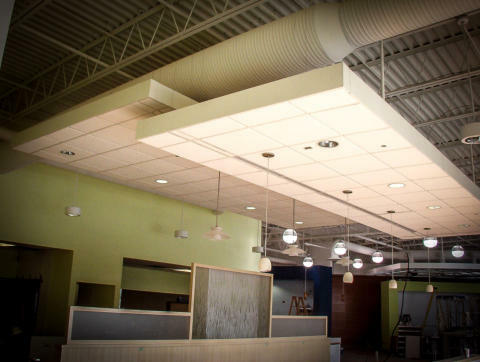 Whether the architect calls them drop ceilings, suspended ceilings, T- bar ceilings or simply grid ceilings -- Expert has you covered. Brand names that we provide: Armstrong, USG, Certainteed and Hunter Douglas. 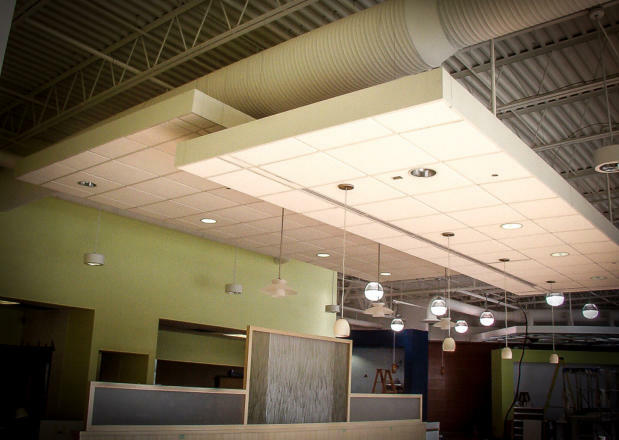 Ceiling tile is most commonly made of either mineral fiber or fiberglass. For a more elegant or stylish look wood, metal pan or tin tiles can be utilized. Washable, scrubbable and soil resistant clean room ceiling tiles are also available. They are engineered to achieve performance goals for food processing areas, laboratory, data center, electronics, and clean room assemblies. Some ceilings are more intricate than others and are designed as standalone architectural features. Examples of intricate ceilings are clouds finished with an Axiom or Compasso brand edge trim. 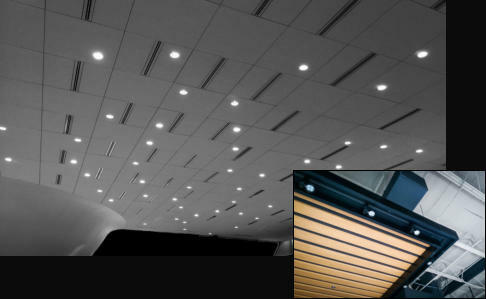 Ceiling grid comes in standard sizes of 9/16" to 15/16" and can sometimes be hidden with a concealed spline feature. Grid can be made of galvanized steel, aluminum, or aluminum-capped steel. Another option is gasketed clean room grid that can be used in operating rooms, kitchens, laboratories and other tight-tolerance or humidity controlled environments. Copyright © 2018 Expert Construction, Inc. Expert Construction is an acoustical ceilings subcontractor. Whether the architect calls them drop ceilings, suspended ceilings, T-bar ceilings, or simply grid ceilings -- Expert has you covered. Brand names that we provide: Armstrong, USG, Certainteed, and Hunter Douglas.